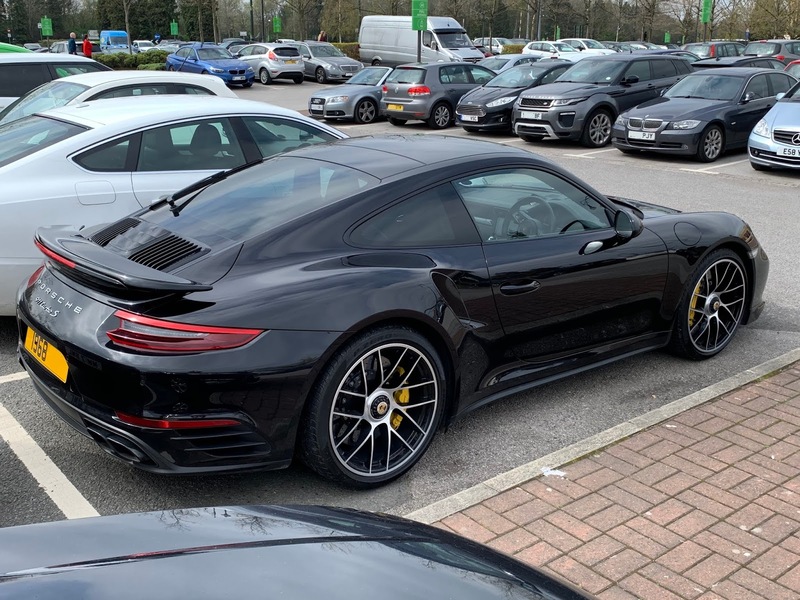 A Porsche 911 Turbo S in black today. The Turbo S has the 3.8 straight-6 engine with 580bhp. 0-62 takes 2.9 seconds and the top speed is 205mph or 330km/h. Classic shape but as beautiful as ever! 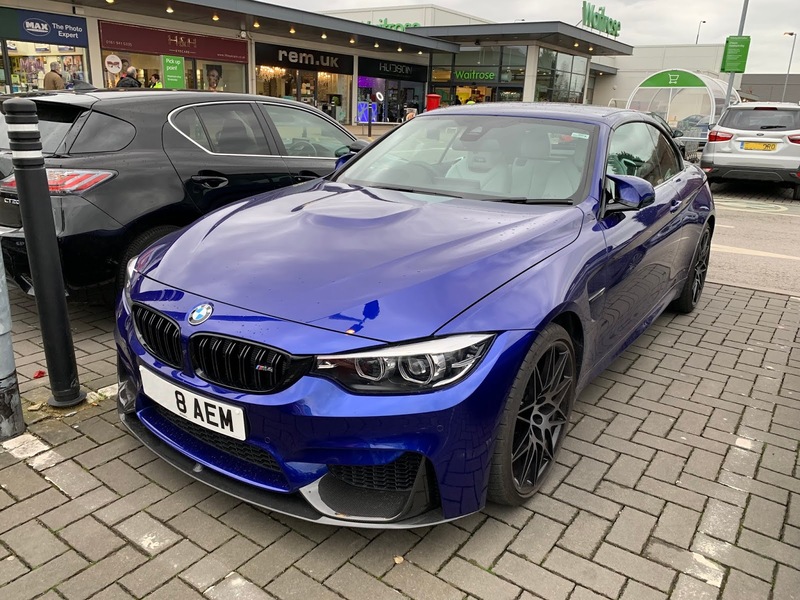 Another BMW M4 today but convertible and in an amazing blue! Under the bonnet, still the 3.0 straight 6 with 444bhp. 0-62 is reached in 4.3 seconds with a top speed of 155mph or 250 km/h. A Bentley Flying Spur in two-tone blue and silver today. This Flying Spur has the original 6.0W12 with 616bhp. 0-62 takes the big saloon 4.3 seconds to reach a top speed of 200mph or 322km/h. A great wrap on this satin blue Audi RS6. This model is the Performance version of the RS6 in the Avant (estate) body. What's the Performance version, well how the name suggests, the standard 552 bhp RS6 got a bit of a power boost with the 4.0 V8 now reaching 597bhp. In terms of 'performance', we are looking at a 0-62 time of 3.7 seconds and a top speed limit increased to 189mph or 304km/h. 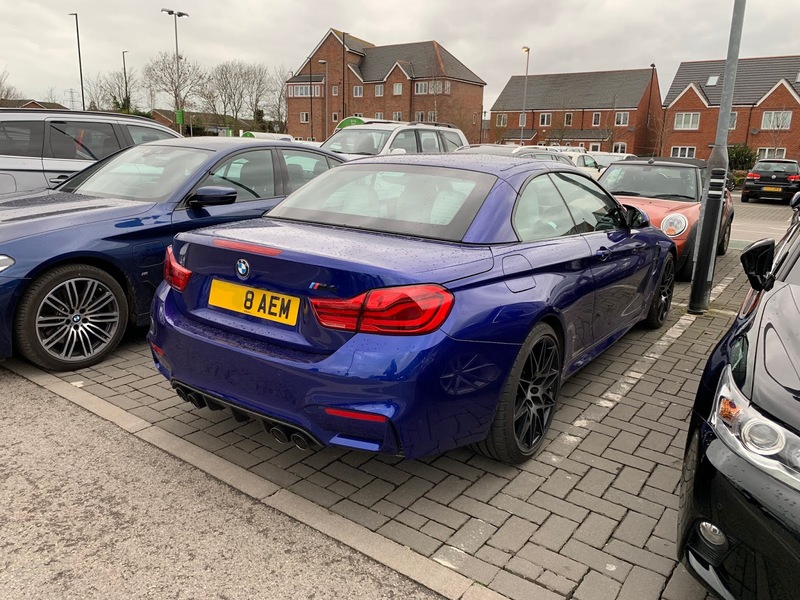 A BMW M4 with the M competition package. Under the bonnet, the M4 gets the 3.0 straight 6 with 444bhp. 0-62 is reached in 4 seconds with a top speed of 155mph or 250 km/h. I do like the GTS style wheels! A beauty today with the Aston Martin DB9 from 2015. 5.9 V12 with 510bhp. 0-62 in 4.6 seconds and a top speed of 183mph or 294km/h. Probably my dream car! A Mercedes-Benz C63 AMG saloon today. The C63 no longer has a 6.3 but a 4.0 V8 engine which produces 469bhp. 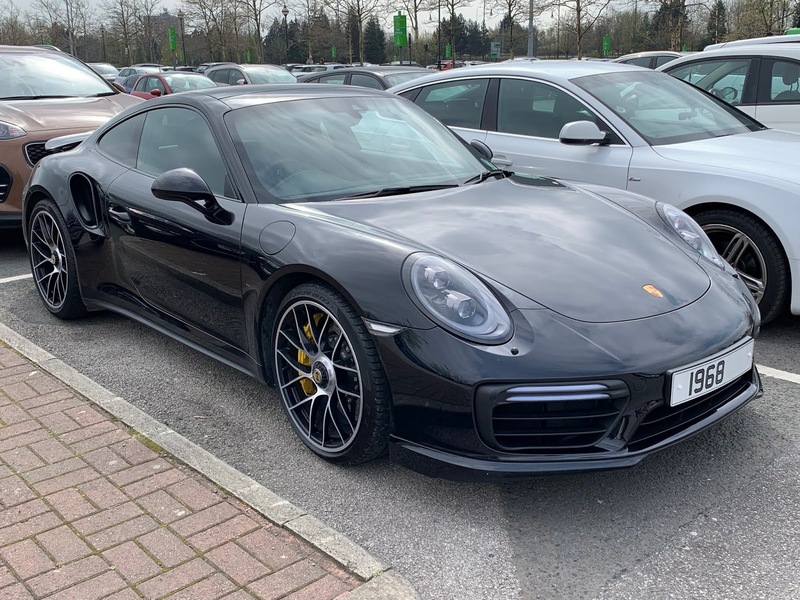 0-62 takes the saloon 4.1 seconds and as usual the top speed is limited to 155mph or 250km/h. If you are feeling generous, and want to contribute to a new camera... Thank you!